Yesterday I wrote About the research student conference held at the University of Northampton for two days. The students quite rightly, took centre stage throughout this event, but I was also impressed by their selection of keynote speakers who came and shared their considerable experience as researchers with the gathered assembly. Whilst these conferences understandably tend to be dominated by discussions of research methods and findings, a presentation on Friday that challenged us all to consider our values as educators and researchers was greatly appreciated. 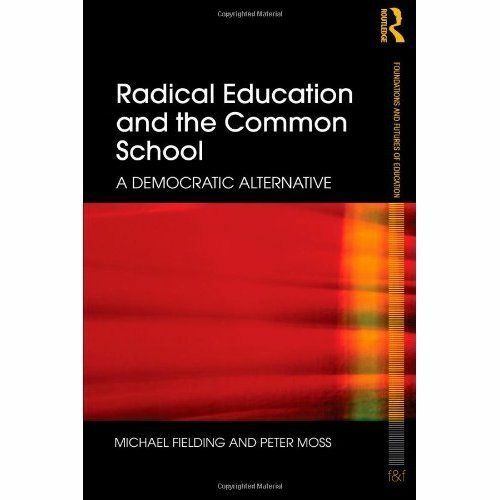 Michael Fielding has been one of the leading thinkers, researchers and writers in the area of democratic education for many years. Speaking with great authority and good humour Michael urged us all to think of the place of children in our society. More especially he challenged us to ensure that as researchers we respect the insights that children can give into their lives and experiences, and to consider how we involve them in the research process. In a wide ranging presentation Michael Fielding reminded us of the work of some great thinkers in respect of this area including the American philosophers John Dewey and Lawrence Kohlberg. The training of teachers and researchers in the UK has changed considerably over the years. Today the focus in teacher training is upon the technocratic aspects of classroom management, curriculum planning and assessment, all of course essential components of the teacher’s skills. In previous times, including when both Michael Fielding and I trained as teachers at the same college of education in Bristol, there was an emphasis upon the four specific disciplines of psychology, philosophy, sociology and the history of education. The work of John Dewey, Lawrence Kohlberg, Jean Piaget and Emile Durkheim featured strongly in our training as teachers and their emphasis upon the establishment of strong principles and values was seen as central to those who wished to work in schools. Michael Fielding’s excellent presentation brought back memories of my days at Redland College in Bristol, and in particular I recalled with great affection those tutors who instilled in both of us a commitment to upholding democratic principles in learning. The focus upon listening to children and respecting their ideas and opinions was central to this training, but of equal importance was the challenge to examine our own position as teachers. As Michael reminded us, teachers are often in positions of power, and have the responsibility to use this wisely for the advantage of their students. The ways in which we communicate with students and the messages that we convey through our demeanour, are critical factors in ensuring that their self-esteem is enhanced and that they become increasingly effective learners. If a pupil/student asks you for help, never refuse. Even if this seems outside of your usual role or what is expected of you. Do those things that make a difference and rail against those that obstruct justice. There are many more such statements on the records that I keep from those formative days at the outset of my career. I suspect that many politicians and educational administrators who are now responsible for the development of education policy would feel uncomfortable with such an emphasis upon questioning teacher values. Sadly I believe that this would be equally true of many teachers. Today’s leaders appear more concerned with achieving academic results than instilling principles of democracy. Perhaps I am getting old, but it does seem to me that time spent on discussing these and other values was well spent. Having read much of Michael Fielding’s work and seeing the great respect in which he is held by colleagues and former students, I am sure that he has lived by such a principled philosophy. Democracy in education will only thrive when people like Michael Fielding are listened to and enabled to take a lead. One of Michael Fielding’s many excellent publications.